Check out the best of Reykjavik with ease on a fun 2-hour Segway tour. Led by an informative guide, you’ll coast effortlessly around the city’s pretty streets and waterfronts on an easy-to-ride, self-balancing Segway scooter. Pass landmarks including the innovative Harpa hall and leafy Laugardalur Park, national sport grounds and gaze out over Faxaflói Bay. Numbers are limited to seven people, ensuring more personalized attention from your guide. 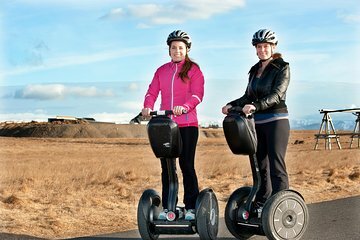 Sightseeing by Segway lets you see more of Reykjavik in less time than it would take by foot. A large part of the tour involves cruising along the city’s stunning waterfronts, allowing for stirring sea views along the way.